Hi everyone! 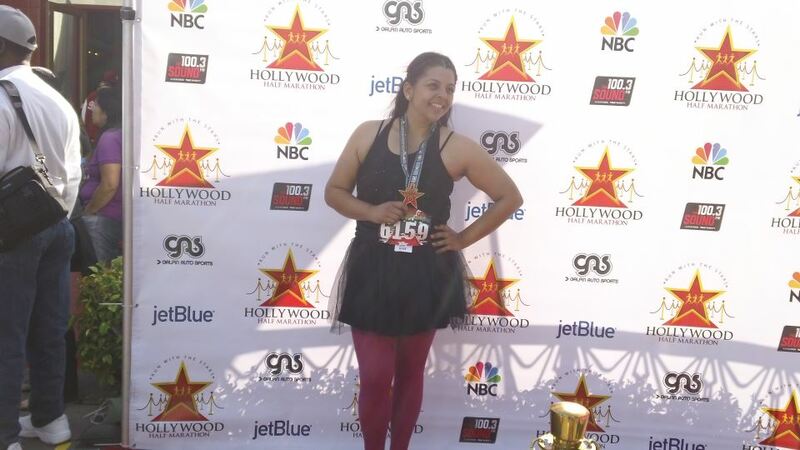 I recently ran the Inaugural Hollywood Half Marathon and it was such a great experience. I didn’t start on time (not surprising), but I finished. 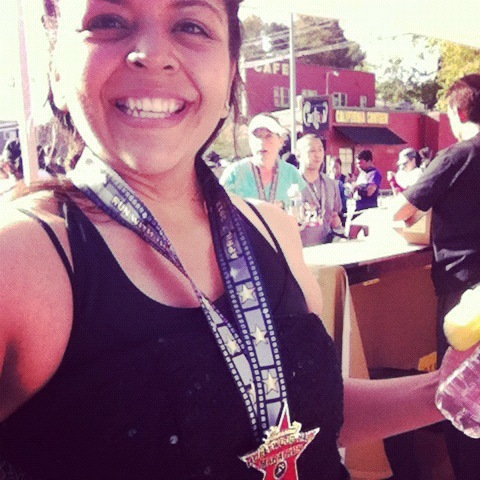 My time was 2:18:25.2 (my clock time was 2:56 something <- that’s to give you an idea how late I started) – I’m so proud. Can you believe I ran a Marathon before a half? With that said I wasn’t nervous at all and was able to kill the hill. I took a few pictures along the way of a group of Elvis’, a man running with a watermelon on his head, a lady hula-hooping her way to a world record, a genie, a man as a Marylin Monroe, and Jackie Moon among others. 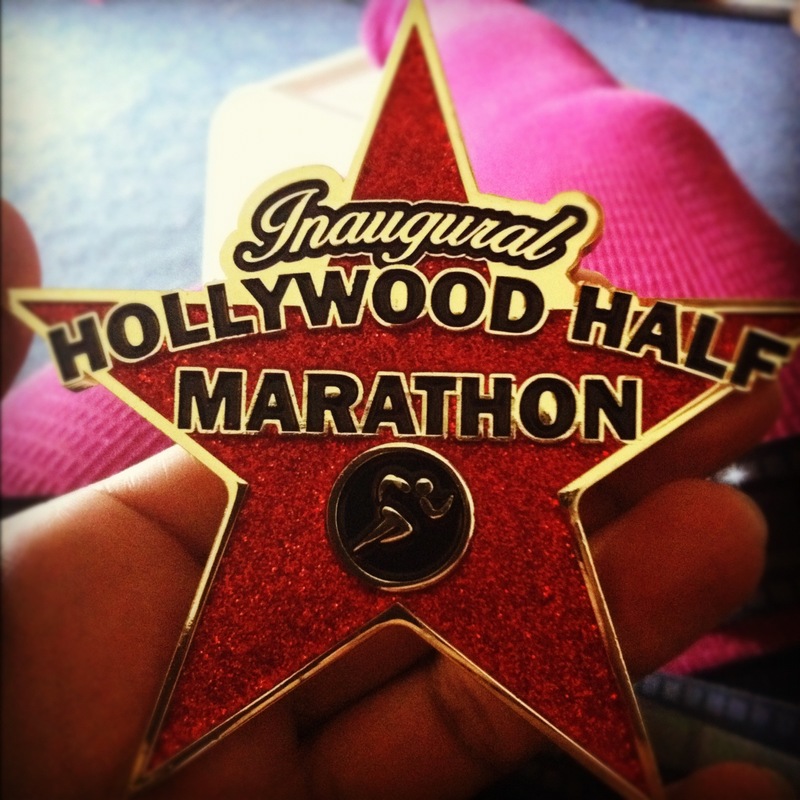 I am definitely going to be running many more Hollywood Half Marathons- I have to, look at the medal! I feel special and honored to be a part of this inaugural event. Me after the race taking a self-portrait! The red carpet! I felt properly dressed and like a STAR! 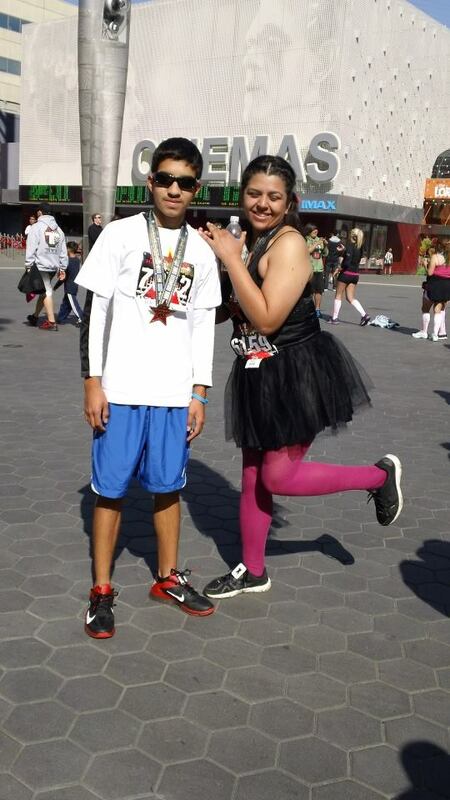 This was my first race in which I dressed up. The dress I wore was supposed to be my prom dress but because it was made horribly I never wore it. I cut it (waaay) above my knees and thought I looked awesome in it. I’m running the Nike sponsored SheRunsLA (80’s themed) next Saturday (April 14th) and I’m looking forward to dressing up as well! I’m really on this running bug, aren’t I? 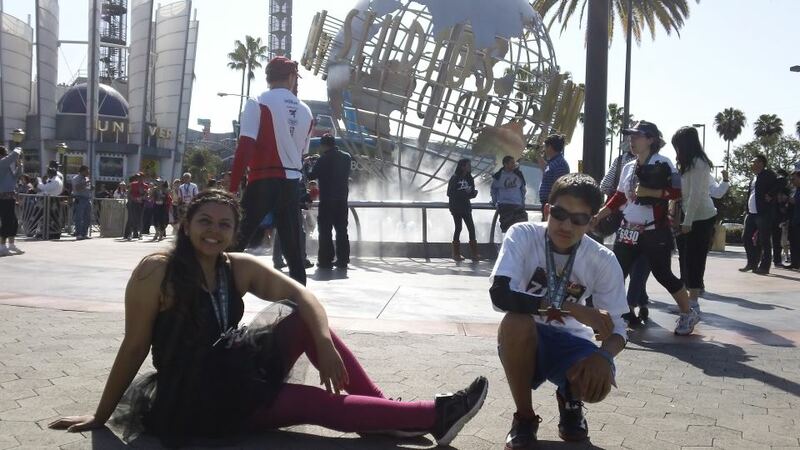 Here are some photos of my and my friend’s son who joined me on the race (he was with me, so he was late too :0 ). I think I’ve only made it on time for 2 races out of the 5 or 6 I’ve registered for (i say registered and not participated in because I woke up late to the Halloween Rock N’ Roll Half Marathon last year and didn’t make it). EEK! I really need new running shoes. Any suggestions? Ramble On, Monica. Ramble. On.